Recently, my daughter said she’d like to have twins and name one of them Jadelyn. Jadelyn? I asked. How do you spell that? As a children’s author, this is a question I often ask these days. It’s the reason that book signings have become an emotional peril, replete with the possibility of embarrassment, tears and smudged and crossed-out signings. Yes, I write about things scientific. But as every scientist and writer knows, it’s the human part of the equation that’s often the biggest challenge. Here’s the problem: Kid's names are the frontier of neologism. The age of reproductive freedom and the rise of spiritual diversity, coupled with the creative frontier of e-mail and text-messaging, has created a Frankenstein's monster of kid's names. As an author, it’s fair that parents and kids have the expectation that I have a better than average facility with spelling. But correctly penning today’s freeform first names isn’t about spelling, it’s akin to mind reading. Imagine this: you’re seated at a table in a library activity room, and in front of you are a dozen or so kids and their parents lined-up all eager to have you sign their books. It’s an author’s dream moment! You smile at the first kids and ask, What’s your name? Before you hear the answer a baby begins to cry and two other kids in line burst into laughter because one farted, so truth be told all you hear of the name is: Mwabben. Fine, you’ve been here before. Lean forward and ask again. Ok, now we have contact and you think the name sounds like “Robin”. This is the moment of danger. You’ve got a dozen kids waiting in line, you’d like a drink (of water). But don’t think for a moment you know how to spell “Robin”. The days of respect for, let alone adherence to standardized, name spellings are long gone. It’s a spelling free for all out there, one that makes the challenge of spelling given names on par with the final round of the Scripps Spelling Bee. So, ask “Robin” to spell his name. He looks at you sincerely and begins “R-o-b-y-n”. Whew, no problem, you think and start writing, just the substitution of “y” for “i”. Then Robyn’s mom leans forward and with a tight smile adds “With an n-e at the end”. Oh, of course, it’s “R-o-b-y-n-n-e”. In my experience, at times even the kid thinks the additional “n-e” is overkill, but I gladly scribe the seven-letter riff on “Robin” and enthusiastically talk fossils for a moment before I’m on to the next round of the spelling bee. A few years ago a publisher suggested that for my next book, I should ask kids what they wanted to know. Thus began Crazy About Canada! : Amazing Things Kids Want to Know (Maple Tree Press, 2006), a book that answers questions posed by real-live, squirmy kids from across the country. Some of their queries, like “What is slug slime made of?” or “Why are there no penguins at the North Pole?” just required some deft Internet trolling on my part - although I did have to chase down a penguin sighted off the coast of British Columbia, but it was an escapee from a nearby zoo. Others questions - the really fun ones - were a lot tougher. Ever seen a dog sniffing out some really smelly treat? That was me, tracking Scientific Truths. I would dig up the name of some expert on mosquitoes, glaciers or food chemistry (“Why are Saskatoon berries blue?”), track them down and enlist their help. 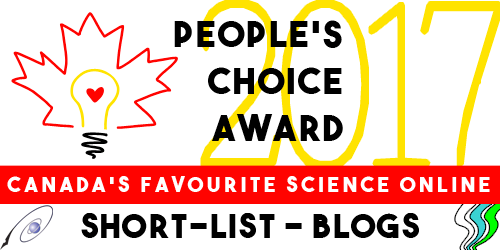 People loved the idea of the book and were happy to help - whether it was polar bear expert Ian Stirling (“Do polar bears ever freeze?”) or Newfoundland iceberg expert Stephen Bruneau, who told me about lassoing icebergs to divert them from oil rigs, or the various entomologists who confirmed that yes, Canada does have the world’s biggest mosquitoes. “What is the hairy thing underneath a moose’s chin for?” took me to the Moose Foundation, where I was informed that a moose’s dewlap or bell served no scientific purpose. “Nonsense!” retorted Canada’s moose guru Vince Crichton, professor emeritus at the University of Manitoba. He proceeded to give me an X-rated explanation about how, during the rut, bull moose make a hollow, pee in it, and then splash the urine onto their antlers and dewlap, the hairs of which stand out so that the stuff can really get in there. The urine then gives off an ‘eau de moose’ smell that drives cow moose crazy. The good professor also sent me his very own CD of bellowing and grunting “Moose Music” which doesn’t bear repeated listenings. “What are the most important archaeological discoveries in Canada?” Good question - but I couldn’t find any kind of ranked list. I contacted the head of the Archaeological Survey of Canada in the Museum of Civilization. He kindly canvassed his colleagues over coffee break and came up with their list of top picks, which included L’Anse Aux Meadows, Head-Smashed-In-Buffalo Jump and the Bluefish Caves in the Yukon. "Why is water wet?” This one turned my eyebrows into knots. Where to even start? I used the question as a conversation opener with everyone I met: “Hi! How are you? Why is water wet?” A friend thought maybe it had something to do with chemical bonds, which led me to consult another friend who is a chemist (writers would be nowhere without their friends), who soon had me tangling with dipole-dipole interactions. I discovered that water makes your hands wet because the water molecules cling to them. But water molecules don’t cling to, say, a freshly waxed car or waterproof fabrics. Ingenious. There’s even a liquid that doesn’t make things wet. If you immersed a book in a bucket of this stuff, and pulled it out again, the book would be dry. That’s why it’s used to douse fires that break out in libraries full of valuable books and documents that shouldn’t get wet. “How do scientists capture neutrinos at the Sudbury Neutrino observatory?” Neutrinos? Unlike many of the bloggers on this site, I have little background in science (the science writing gig sort of happened by accident). Who knew that billions of these neutrinos - tiny solar particles - pass through our bodies each second? Or that two kilometers down in a Sudbury mine there’s an immense geodesic dome filled with heavy water surrounded by almost 10,000 light sensors where scientists from several countries do indeed “capture” neutrinos. 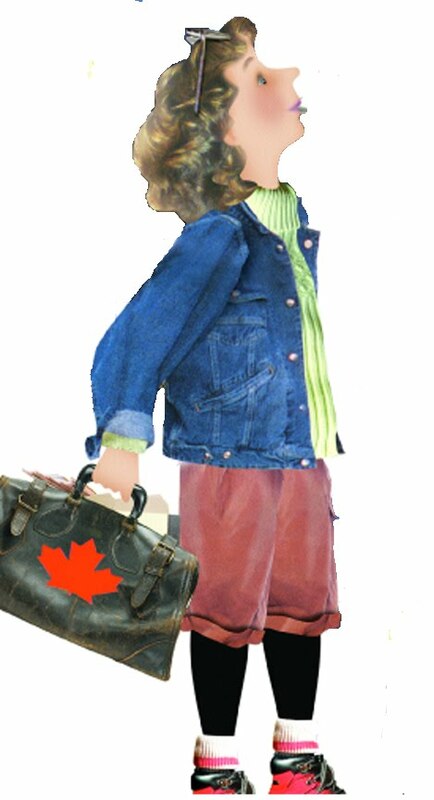 Author of Wow Canada!, Crazy About Canada!, Crime Scene and other non-fiction books for kids. Hey, Canada! will be published by Tundra Books in Spring 2012. Or, as I was called by my sister when we were kids, "Insane Helaine." I think the nickname might have been prompted by my fondness for weird facts, like what whalers used to use for raincoats (the waterproof skin from a male whale's ahem), coupled with an obsessive-compulsive need to share said weird facts with everyone I met. The perfect matrix for becoming a kids' writer, no? My first job, at 16, was for a science education publisher, who happened to be my dad. My tasks included sweeping floors and filing, but I quickly promoted myself to staff writer. I specialized in adapting the already existing high school level material for republication for elementary readers. Read, understand, simplify. Easy peasy. 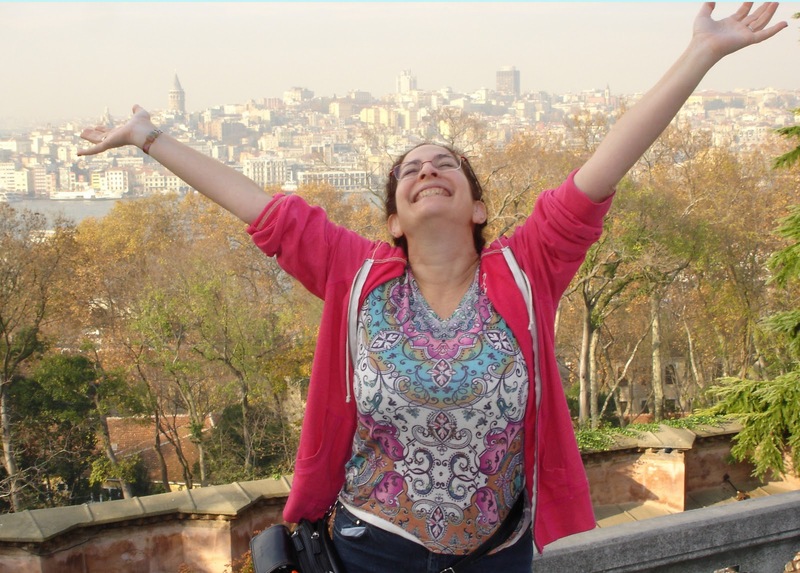 With a few credits under my belt, I landed writing jobs for other science publishers too. There was only one problem. As a determined non-science student, I never had much of a clue about the topic I'd be writing about. I learned as I went, and discovered that NOT knowing science was a benefit. It meant I was in exactly the same spot as my readers. If I couldn't understand something, neither would they. As a result, I was forced to really learn a topic, without relying on jargon or superficial explanations. The next step, once I had the a-ha! moment, was to figure out how to explain complicated concepts in uncomplicated language. Deep Background as a lifelong bookworm helped there. But let's not forget that nut factor. I simply can't take much in life too seriously, and that sly winky attitude kept sliding into my work. Not great for educational writing or for text books. But perfect for funny science-themed kids' books, no? My first science book for kids, Are You Psychic?, was therefore a sneaky one, one that took advantage of my quirky sense of humor. It gave kids the chance to explore whether or not they had 'woo-woo' powers, such as the ability to read minds or predict the future. But psst! 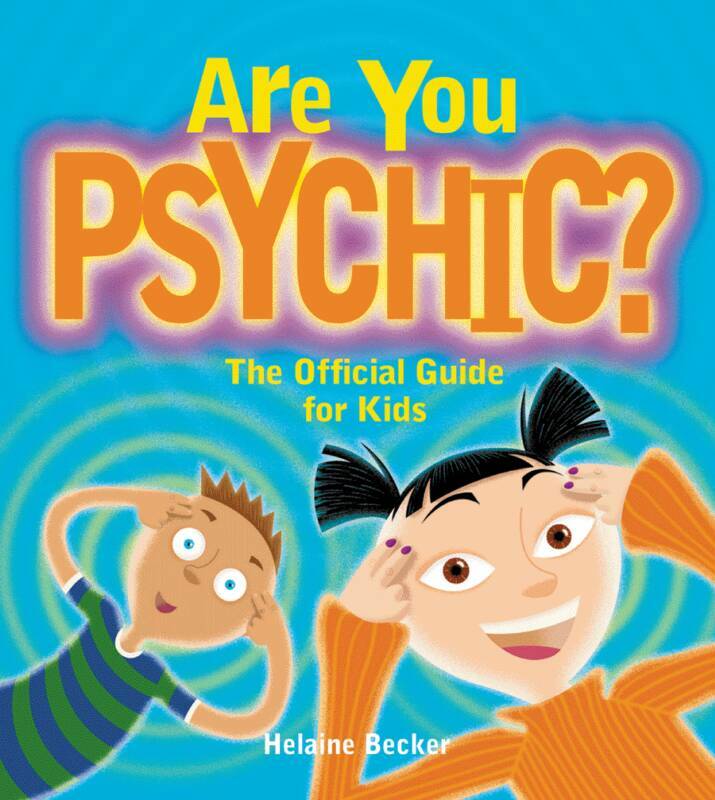 - the book had it's own hidden agenda: to get kids to examine psychic phenomena critically, and test their own tendencies using scientific principles and procedures. I was awfully chuffed when it made the O.L.A. 's Best Books for Children's list, and was nominated for both a Red Cedar Award and an Information Book Award. Other funny, funky titles soon followed: Science on the Loose, Secret Agent Y.O.U., Magic Up Your Sleeve, and The Insecto-Files, which won the inaugural Lane Anderson Award for Science Writing for Children in 2010. But we nuts can never rest on our laurels (do laurels even produce nuts?). I'm currently working on several other projects with a science theme. One, tentatively called The Jumbo Book of the Ocean, will be published in Spring, 2012 by Kids Can Press. It will provide hands-on activities about the ocean and ocean animals, while examining the risks facing the ocean from global warming, deoxygenation and acidification. I'm also working on a science/environmental themed kids' TV show for ATPN. It's called Planet Echo and we're into the second season now; my part is to create the nutterific segments called 'Dr. Greeny's Mad Lab.' It's been a ton of fun. When I post in this space, you can expect to find that same kind of nutty humor that I bring to my books. But my posts will also include some awesome facts and findings about the natural world, news you can use if you are a teacher, librarian, camp counselor or parent - anyone charged with helping kids explore and understand our world. You might read about cow farts, or jellyfish solar power. About how mole rats can smell food underwater, or how all that stuff they taught you in science class, like that the Gulf Stream keeps northern Europe warm, is dead wrong. Looking forward to sharing more weird facts with you! There are a ton of children's forensic books on the market - including "bookstore" books and those produced for school libraries, over 100. I've read more than 30 of them. Many of the books available are clearly written, well laid out, and accessible to kids. Many contain enough gruesome details to capture the attention of even the most videogame-jaded twelve-year-old. Many of them are scientifically accurate. Many of them read like they've used each other as primary reference sources. That's why Vivien Bowers' Crime Scene was so refreshing to me. It's got lots of sidebars to help pull readers into the text. It's got both illustrations and photos, including some rather creepy step-by-step pictures of a facial reconstruction. It's error free, and it's full of information I didn't find anywhere else, particularly in the extensive "Computers and Crime" chapter. The book is detailed enough to serve as a reference in report writing, but lively enough to read for fun. It's even got activities and mysteries kids can solve, using the techniques outlined in the text. This one gets a definite recommend. Vivien is one of our contributors - look for her first post next week! Cross-posted at Ten Stories Up. We heard the idea, and we thought it was pretty good. And here we are, a group of writers who love not only science, but talking about it - to kids, and anyone else who will listen. Over the next few weeks each contributor will be posting a profile. After that, the fun really begins. So welcome, and join us as we explore life, the universe, and everything!